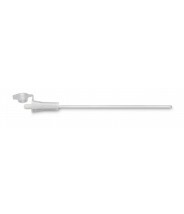 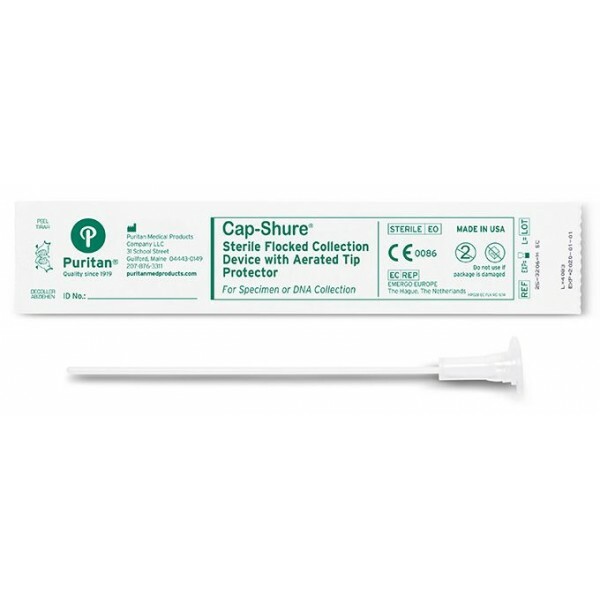 This absorbent flocked swab has an elongated tip and is bonded securely to a polysytrene handle by an aqueous based adhesive. Aerated tip protector designed for convenient, reliable specimen, DNA or evidence collection. 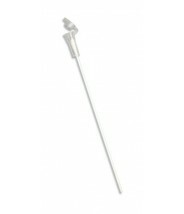 Comes as a unit with a reclosable, ventilated cap for air drying and transporting samples. 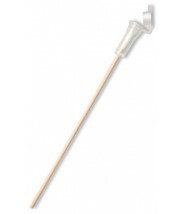 Cotton tipped applicator with Aerated tip protector, Wood handle.